Versatile mid-range routing platform for use at access and aggregation layers of enterprise campus networks; energy-efficient, rugged, and redundant hardware design for high reliability. 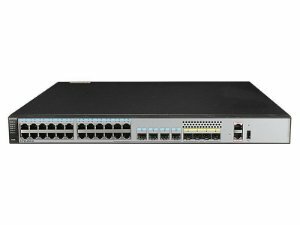 Based on Huawei’s Network Processor (NP) chip, NE20E-S Routers combine non-stop routing and forwarding with rich network services and QoS features: L2VPN, L3VPN, multicast and multicast VPN; with full IPv6 support. Choose 4, 8, or 16 slots in compact chassis models running on Huawei’s latest VRP operating system for high-performance, high-availability edge routing. Supports 1:N virtualization and satellite clusters to simplify network management and reduce O&M costs; IP Flow Performance Measurement technology monitors services in real time for rapid fault detection Multi-level reliability of hardware, network, and services (ISSU, NSR, FRR, BFD and more) provides carrier-grade reliability of 99.999% and rapid recovery within 200 ms of a failure. NE20E-S routers use the latest VRP8 platform, which is also used by the NE5000E core router. The VRP uses the Resilient Distributed Framework (RDF), with separated management plane, service plane, data plane, and monitoring module to increase system flexibility, reliability, manageability, and expandability. The VRP system is mature. So far, more than 4 million sets are running on live networks. Its rich features and stability have proven themselves through a wide variety of applications. Huawei-developed chips for flexibility NE20E-S servers use built-in NP chips developed by Huawei to give them a flexible programmable architecture. Microcode programming can be used for new service deployment, without replacing hardware, to save money. In addition, this architecture shortens the technological innovation cycle and speeds up new service launches. Leading-edge design conserves energy Huawei NE20E-S routers use a leading-edge design to lower power consumption and provide better environmental protection. NE20E-S routers are only 8.6 inches (220 mm) deep and have a low height of 2U to reduce installation space. They can be used where the ambient temperature is between -40oF and 149oF (-40oC and 65oC). 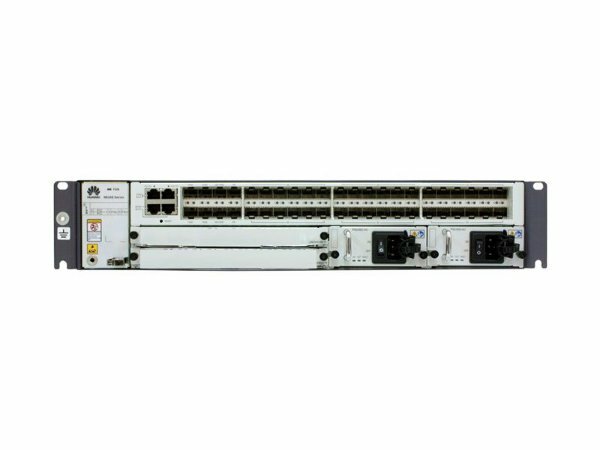 The NE20E-S series supports various interfaces (E1/CE1, POS, CPOS, GE, 10 GE, and 40 GE). High-density fixed ports for access and aggregation WAN services and Ethernet Multi-Service Transmission Platform (MSTP) aggregation services, satisfying a wide range of service requirements. Flexible Virtual System (VS) technology. A physical router can be divided into multiple logical routers with resources separated between them. Services can be deployed on different VSs to form a multi-service network with service separation. VSs enhance security and reliability. IP Hard Pipe is a Huawei IP network-based access technology. It works with MPLS TE and HQoS and reserves hardware resources for dedicated bandwidth on leased line services to minimize delays and provide high reliability. IP Hard Pipe hardware isolates soft and hard pipe bandwidths so they cannot be pre-empted. A hard pipe is similar to a Synchronous Digital Hierarchy (SDH) rigid pipe. IP Hard Pipe’s IP Flow Performance Measurement (FPM) measures the service quality of flows and uses NMS and uTraffic to display the results. Real-time operating status makes IP leased line services controllable, manageable, and visible. Detection packets can be sent periodically or manually to check network connectivity for fault locations and diagnosis. P2P Ethernet in the First Mile (EFM), E2E Connectivity Fault Management (CFM), E2E Y.1731, and their combinations provide a complete Ethernet OAM solution. An RFC 2544-compliant flow test monitors offline performance. RFC 2544 defines a set of standard methods for evaluating network performance using different networking scenarios with different packet formats. During a test, a device simulates network packets and sends them to itself so it can measure performance. RFC 2544 tests are done before service provisioning and no tester is needed. Customers can use RFC 2544 tests before service cut-over to evaluate whether network performance indicators are ready. 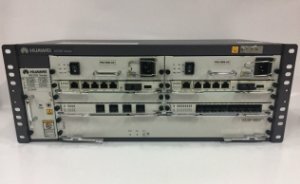 NE20E-S routers support Huawei-developed IP FPM to measure IP network performance. IP FPM directly measures IP service packets and monitors service changes online for fast fault locating. It provides highly-accurate measurements and can be flexibly deployed with no impact on services. IPv6 neighbor discovery, PMTU discovery, TCP6, ping IPv6, tracert IPv6, socket IPv6, and IPv6 policy-based routing.